"People have asked me, 'Where is ballet going? Is ballet dead?' " Tomasson says. "Ballet is a living art form. We respect the classics, and we should, but we also have to look forward and see what's out there." Audiences are in for some surprises—from Pita's dance-club fantasy set to Björk songs to Wheeldon's slippers-and-socks ballet about digital alienation, using cell phones as props. "I think it's terrific," Wheeldon says. "I love that Helgi chose to challenge the artists to loosen the binds of their normal way of working and try something a bit different." The dancers may be the greatest beneficiaries of all. 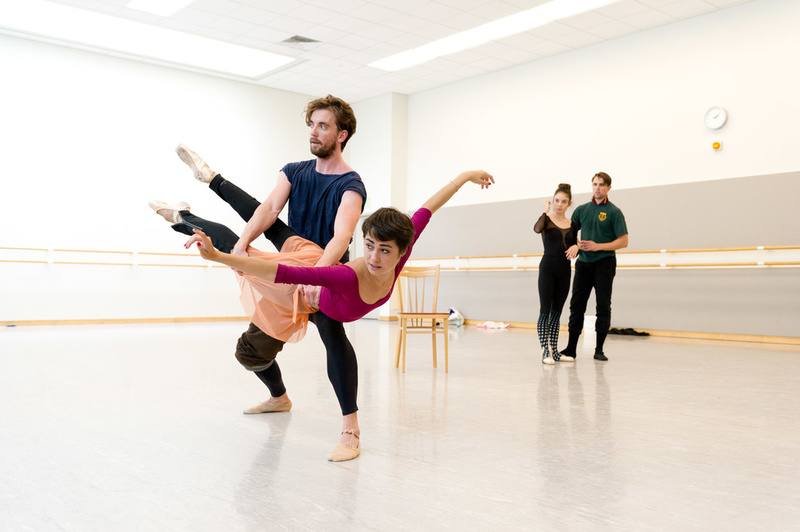 Most were cast in four ballets, created on them in intense, back-to-back rehearsals. The blistering pace meant sore muscles and countless details to remember, but it was worth all the hard work, says principal dancer Mathilde Froustey. "I feel like it's Christmas," she says. 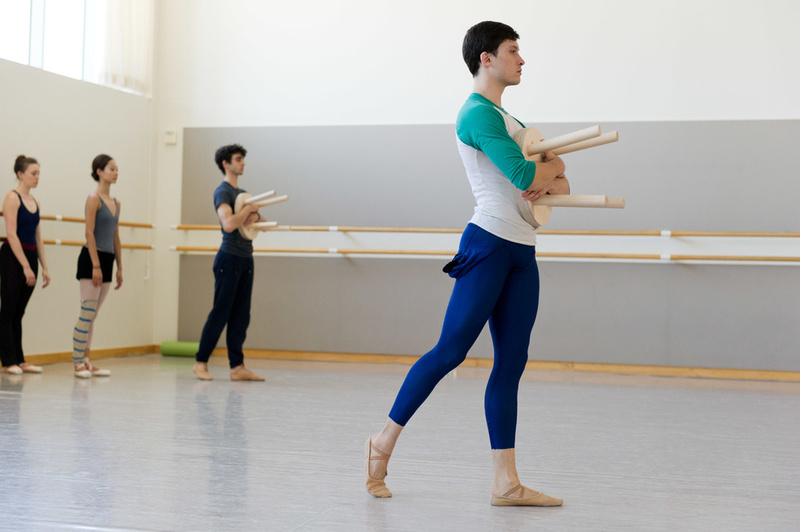 "Every three weeks I get a new gift, a new choreographer." Pointe went inside rehearsals with Froustey, soloist Isabella DeVivo and corps dancer Lonnie Weeks. 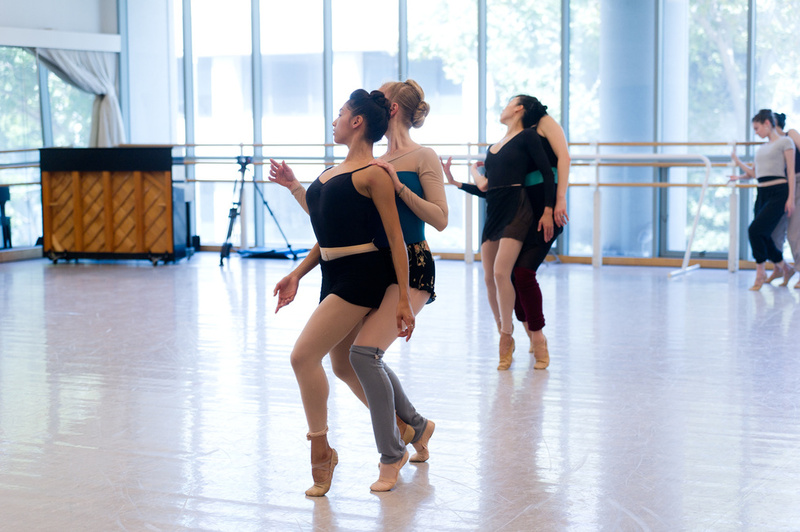 Here, they reflect on Unbound and what it's like to be on the cutting edge of ballet. Cathy Marston's story ballet is based on Edith Wharton's 1911 novella Ethan Frome. Principal Mathilde Froustey (above) plays Mattie, the other woman in a love triangle with Ethan, played by Ulrik Birkkjaer. Marston's character-driven process was different for Froustey: "She has a movement style, but most of the time she says, 'What's happening in the story?' When the character was clear in my head, the movement made sense." "I am not used to modern ballet," says Froustey. To help her generate movement, Marston (left) tapped into her imagination: "I said, 'Can you point to the moon with your foot? Now imagine you're trying to collect stardust with your foot.' She really responded to those images." 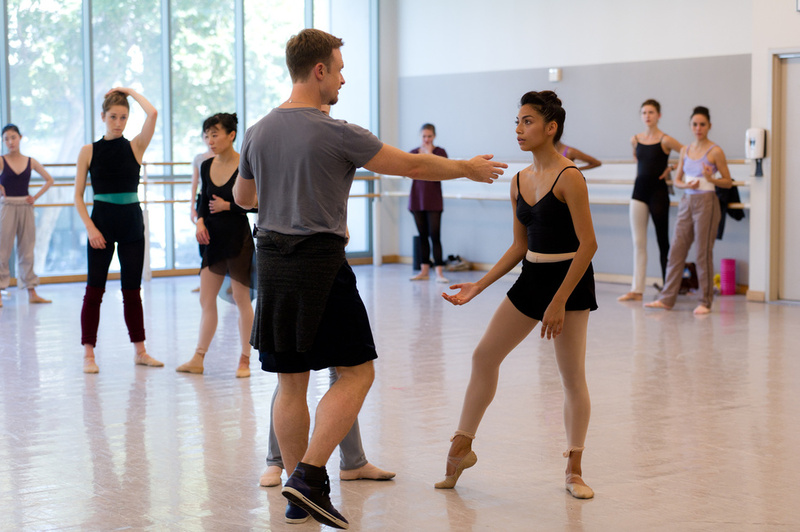 Christopher Wheeldon works out a phrase with soloist Isabella DeVivo (left) and principal Sasha De Sola. "The ballet is a comment on how disconnected we're becoming as a society, and a reflection on the beauty that we're missing while buried in our devices," says Wheeldon. "He'll ask for something, and he'll want to see it right then and there," DeVivo says of Wheeldon. "Having less experience, it takes me a bit more time to understand exactly what he wants." 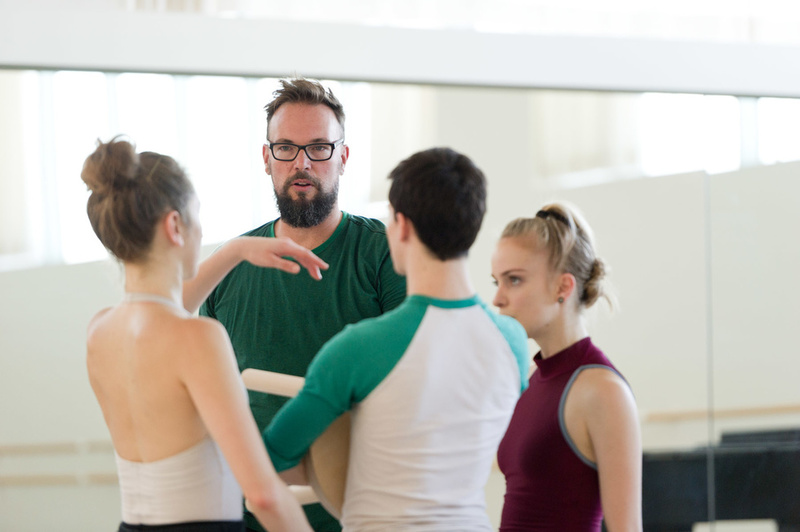 Wheeldon's process is "incredible," says DeVivo. "There's a lot of information being thrown at us—changes, steps, details. With any new work put together in three weeks, there's a lot we have to be on top of at all times." Partnering another woman is a new experience for DeVivo. "Being super-grounded and taking each other's weight, and trusting another girl who is your size, that's a challenge in itself." 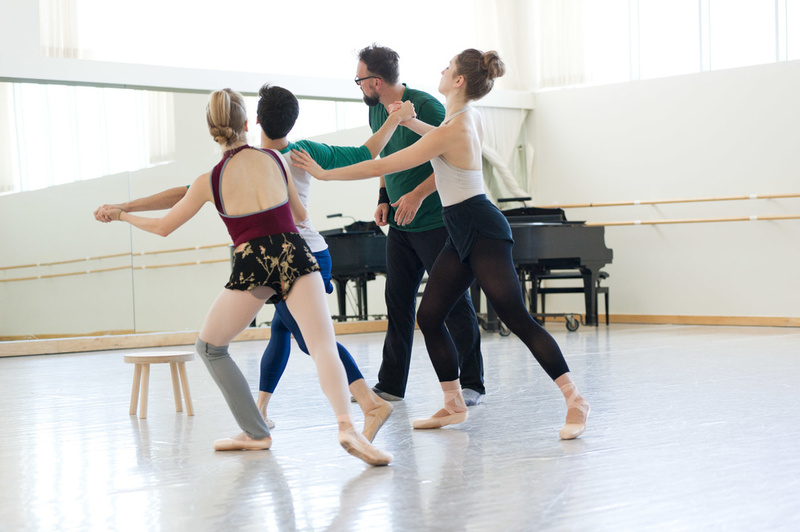 Trey McIntyre in rehearsal with corps dancer Lonnie Weeks (center) and principals Jennifer Stahl and Sasha De Sola. "Choreography sort of pours out of him," says Weeks. "He's also open to ideas and suggestions from the dancers." McIntyre didn't share his idea for the work until a few days into the process. "I don't want their immediate reaction to be that they act it for me," he says. "I need to make sure all the information is in the choreography." "The festival is giving a lot of people opportunities that they wouldn't normally get," says Weeks. 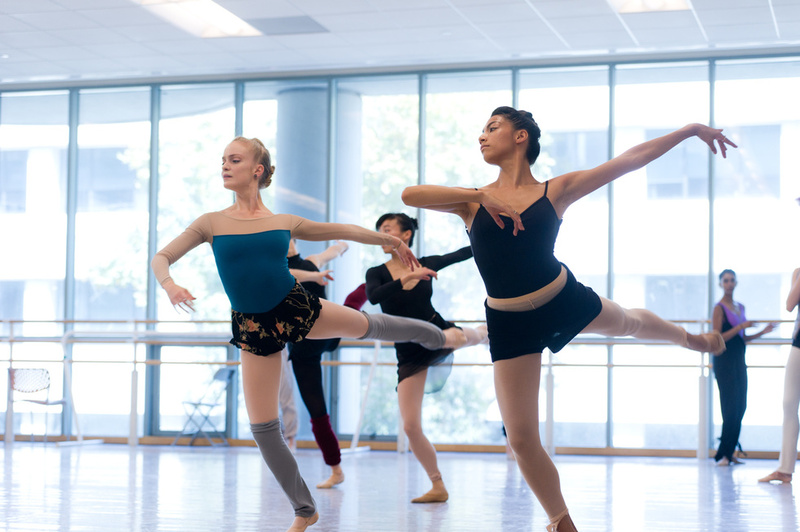 "I think you'll see a lot of young dancers rising to the occasion."